This was a toy project for me. 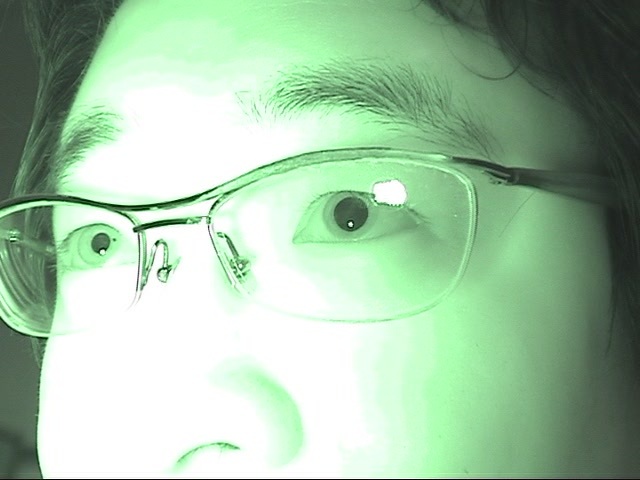 GreenIris is a simple eye-tracking tool built with a infrared light emitter and a camcorder with night vision filter. The pupils are captured using OpenCV's circle detection algorithm, and was calibrated using a simple warping transformation matrix. The resolution for eye-tracking was at least 10x10 block on a 27 inch monitor that is 60 cm away from the eyes.